Are you thinking about buying a new bed from a trusted brand name? If so, you may want to consider the Serta Perfect Sleeper® line of mattresses. This line has a wide variety of different types of mattresses and should have something for everyone. The Kirkville Super Pillow Top Mattress is a bed that offers the traditional look and feel of a coil mattress with modern support and comfort features. We chose it as the best innerspring option in the Perfect Sleeper line because it provides pressure relief and a comfortable pillow top. In this article, we’ll be covering three mattresses from the Perfect Sleeper line by Serta: the Kirkville Super Pillow Top Mattress, Serta Perfect Sleeper® Express, and the Glenmoor Luxury Hybrid. We chose these three out of the 12 models offered because of their high user ratings and to give the best option for each of the three distinct bed types in this line. Serta worked to create the Perfect Sleeper line using research from The National Sleep Foundation. With innerspring, memory foam, and hybrid options, the Perfect Sleeper has a bed for every budget, body type, and sleep position. Each of these issues can be tackled simply by switching to the right mattress for your needs. Before getting into specifics about each mattress, though, let’s take a look at the sleep trial and warranty provided by Serta for each. Serta offers a 45-day Comfort Assurance Program to make sure you’re really satisfied with your purchase. They ask their customers to spend 30 nights on their mattress before deciding whether to return it since it may take some time to adjust to the bed. If you choose to exchange or return the mattress, it can be returned for up to 45 days if you pay a 15 percent return and a $200 shipping and handling fee. The shipping and handling cost will be subtracted from your refund and Serta will handle any other expenses involved. Like other major mattress brands, Serta comes with a warranty to protect their customers against manufacturing defects. If you purchase a mattress from their Perfect Sleeper line, it will come with an informational brochure that will cover what is and isn’t covered by their warranty. They also have an electronic version of this brochure. If you have any questions about the specific mattress you’re interested in, it’s best to ask Serta directly or consult the brochure. The Perfect Sleeper line covers a wide variety of beds, but in this article, we’ll be focusing on three specific models, including one innerspring, one hybrid, and one memory foam mattress. We’ll start with the innerspring model and then cover the other two types. You want a springy feeling in your mattress: The Kirkville Super Pillow Top Mattress uses coils, which makes it a lot springier than a memory foam bed. If you like that traditional bouncy sensation, you’ll likely enjoy this mattress. You tend to sleep on your side: This bed uses a bit of comfort foam, which cushions your body’s pressure points. If you favor the side sleeping position, which concentrates pressure in the hips and shoulders, this should be a good fit. You want a cradling feeling in your bed: The pillow top in this bed gives the mattress surface a plush, soft feel. Although the coils do offer some firm support, you will feel like you’re cradled by this mattress. You get hot in your sleep: If you have issues with sleeping hot, you’ll appreciate that the Kirkville Super Pillow Top Mattress uses Cool Twist® Gel Foam, a gel-infused material that keeps your body cooler. This proprietary Gel Foam also contributes to cushioning and overall comfort for the sleeper. The Kirkville Super Pillow Top Mattress is a 13.75-inch high mattress with cooling, pressure-relieving layers of memory foam. First is the quilt layer, made with their FireBlocker® Fiber, Pillo-Fill®, and PillowSoft Aire™ materials, for safety and comfort. Next is the upholstery layer, made with Serta Comfort XD™ Foam and Cool Twist® Gel Foam for cooling and contouring. And last is the coil support system with Best Edge® Foam Encasement to keep the edges sturdy over time. The feel of this mattress is plush on top, yet supportive at its core. If you need some extra support in your bed but also want a bit of a soft cradling feeling, you will probably enjoy the feel of the Kirkville Pillow Top Mattress. Since the bed uses coils, it won’t absorb motion disturbances quite as well as an all-foam bed. However, since there is also some foam in its design, it does absorb motion fairly well. Serta is committed to environmental sustainability and aims to reduce their carbon footprint while investing in their communities. If the environment is important to you, this involvement may ease your mind. The Kirkville Pillow Top Mattress should work well for side or back sleepers who want a bouncy bed with cooling properties. Stomach sleepers, on the other hand, might find the pillow top a bit too soft, which could cause too much hip sinkage and prevent proper spinal alignment. This bed has an affordable price, too, which is helpful for those on a budget. The Serta Kirkville Pillow Top Mattress is currently going for $689. Innerspring mattresses are best known for being the most affordable mattress option. This type of bed may be most suitable for people who have back pain, sleep on their stomach, or carry some extra weight. Availability: Coil mattresses are widely available both online and in-store. This competitive market has made them affordable to purchase, especially compared to most memory foam beds, though there are also expensive innerspring mattresses. Temperature: If sleeping hot is a major concern for you, and you also like the feel of springs in your mattress, an innerspring option could be a good choice. Innerspring beds tend to sleep cooler than mattresses made from other materials because coils promote more airflow. They also don’t allow you to sink in as far as all-foam beds. Suitability for Partners: Some couples may favor an innerspring mattress because the bouncy surface works well for intimate activities, but this comes with a tradeoff. Coil mattresses don’t tend to absorb motion as well as foam or hybrid beds, so you might be woken up more easily if your partner moves around in their sleep. Lifespan: Innerspring mattresses reportedly have a shorter lifespan than other types of mattresses, although modern mattress companies may be taking steps to prevent premature sagging. Weight: Overweight individuals may appreciate an innerspring bed because their extra weight can cause a mattress to sag prematurely, but the coils used in innerspring designs give the bed a very supportive core. Overall, if you don’t want to sink too far into your mattress, enjoy a bed with a bouncy surface, and carry some extra weight, you’ll probably do well with an innerspring mattress like the Kirkville Super Pillow Top by Serta. The Perfect Sleeper Express 10-inch Mattress uses two foam layers and provides a firm sleeping experience. It may be a good choice for people who know they like the slow-responding feel of memory foam, but also want a firm bed. You want different thickness options: In this review, we’re covering the 10-inch version of the Perfect Sleeper Express, but there is also a 12-inch and a 14-inch version. The 10-inch option is the most affordable of the three. You sleep on your stomach: Stomach sleepers require a firm mattress because too much hip sinkage can cause lower back pain in this sleep position. The Perfect Sleeper Express provides a firmness level that should make stomach sleepers comfortable. You sleep with a partner: Memory foam just can’t be beaten when it comes to motion absorption. This makes it a good option for light sleepers who have a restless partner or pets that jump into their bed at night. You want a bed with no bounce: The Perfect Sleeper Express doesn’t have any coils or latex in its design and is instead made from pure memory foam. Because of this, it doesn’t have any bounce to it, which you should make sure you like before choosing it. 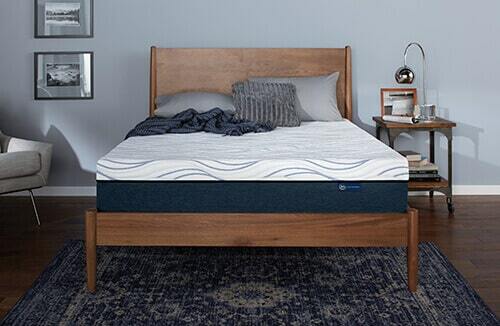 The Perfect Sleeper Express 10-inch Mattress has two simple layers in its construction: a layer of Serta® Premium Gel Memory Foam and a layer of Serta® Gel-infused Support Foam. It has a very firm feel to it, so you should make sure that you prefer that type of mattress if you plan to choose the Serta Perfect Sleeper® Express. This bed provides great motion absorption, so you won’t be disturbed if your partner moves around at night. Serta meets environmental requirements for sustainability and is CertiPUR-US® certified. This certification means that their foams are free from harmful levels of toxic chemicals. Overall, this bed is a good choice for people who sleep on their stomachs (although it should also work well for back sleepers) and want firm support. The current price for this model is $699 for a Queen, which also makes it affordable, especially for a memory foam mattress. Keep in mind that the thicker versions of this mattress will cost more, though. The Memory Foam “Hug”: Memory foam is a supportive, thick material that conforms to (hugs) your body when you lie on it. Users report that this type of mattress can help with easing pain or tension in the body. This sensation is really a “love or hate” matter, so it depends on what you personally like. Motion Absorption: When it comes to mattresses, no material is better than memory foam at absorbing motion. If you’re a very light sleeper and have a pet or a partner, this can be a godsend since you’ll be able to stay peacefully asleep even when they move around on the bed. Heat Retention: Memory foam doesn’t tend to sleep as cool as innerspring or hybrid beds, although modern memory foam mattresses usually add cooling technology to help with that. If you struggle with sleeping hot, but still love the feel of memory foam, make sure the bed you choose has cooling gel or breathable foam. Minimal Bounce: Memory foam typically has little to no bounce because it’s designed to respond slowly and absorb motion and pressure. If you like slow-responding beds, this should work well for you. However, if you want a bouncy bed, you should probably opt for one made with latex or springs instead of memory foam. 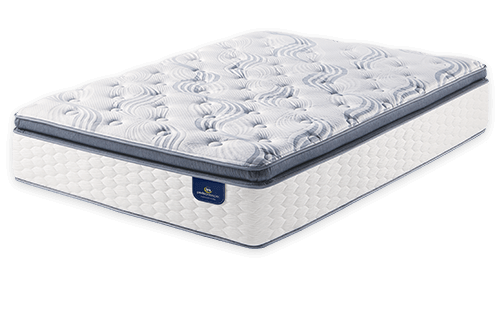 The Luxury Hybrid Glenmoor Mattress in the Serta Perfect Sleeper® line is a hybrid mattress, meaning it uses both coils and foam in its construction. It has a pillow top, which creates a plush, soft feeling for the sleeper. You sleep on your back: Back sleepers can often handle mattresses with any firmness level, but a mattress like the Luxury Hybrid Glenmoor bed may be especially beneficial. This is because the coils help keep the spine aligned, while the pillow top lets the body sink in evenly. You sleep on your side: Side sleepers have all of their weight concentrated in their hips and shoulders when they sleep. Because of this, a bed with a pillow top works well for reducing pressure in these areas. You’re craving pressure relief: The pillow top used in the Luxury Hybrid Glenmoor Mattress provides some extra padding, giving the surface a soft and plush feel. If you suffer from pain or tension in your body, this layer could give you some pressure relief. You tend to sleep hot: This bed uses coils, which help with airflow, along with a top layer of foam designed to pull heat away from your body. People who struggle with overheating in the middle of the night should appreciate switching to this bed. According to Serta, the Glenmoor Mattress is a bit softer than average and designed to provide both comfort and support. It may not provide enough firmness to support a stomach sleeper comfortably, so keep that in mind if that’s your favorite sleep position. Let’s look a bit closer at the Glenmoor Mattress construction. The bed is 14-inches in height and uses FireBlocker® Fiber in its construction, along with a cooling gel memory foam layer, a comfort foam layer, and a layer of 886 individually wrapped coils. Again, the pillow top gives the mattress surface a soft, plush feel, while the coils give the bed a medium amount of firm support. Since the Glenmoor Mattress uses a fair amount of foam in its design, it does decently well with absorbing motion and should work for couples. Serta has been manufacturing flame-resistant products for over a decade now and uses a mix of natural and synthetic materials in the process. They also have CertiPUR-US® certified foams in their mattresses, meaning that the materials have been tested and found to be free from harmful levels of heavy metals. 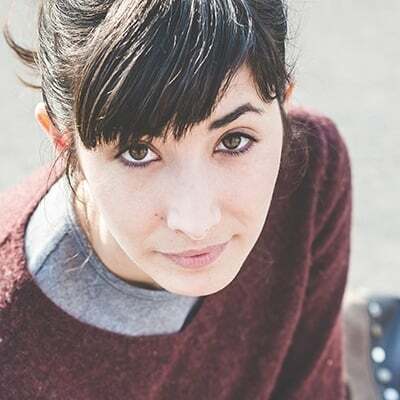 This mattress may require a break-in period and feel firm at first and then soften over time. This is one of the reasons why Serta requires their sleepers to test out their mattress for at least 30 days before deciding it’s not right for them. Overall, this bed could be a good choice for people who want the support of an innerspring bed with the pressure relief offered by memory foam. Since it is a luxury mattress, it does have a higher price than the other two beds we reviewed at $1,014. Hybrid beds are usually somewhere in the middle in terms of firmness. This is because innerspring layers tend to add a firm supportive core, while foam creates some contouring and has more of a soft feel to it. Bounce: Hybrid mattresses tend to be bouncier than memory foam, so they’re a good middle road for people who want foam in their bed but also like the springy feeling in their mattress. A bouncy mattress also makes it easier to switch positions in the night, so if you tend to move around a lot, you may want to choose this type of bed. Breathability: Hybrids tend to sleep cooler than all-foam beds because the coils prevent the sleeper from sinking in too far, which can add to heat retention. It’s worth noting, however, that many modern memory foam beds use cooling technology to fight the warmth issue, so hybrids won’t always be cooler. Cost: Hybrids are not the cheapest beds out there and are more on par with the price of an all-foam bed rather than an innerspring bed, which tend to be the most affordable. If cost is a big concern for you and you need to save money, you might need to wait on buying a hybrid and instead opt for a cheaper choice, for now. Motion Transfer: Hybrid beds aren’t the best when it comes to isolating motion because of the springs used. For that reason, this type of bed might not work as well for partners who wake up easily. If you do choose a hybrid and sleep with a partner, make sure it has special technology to absorb motion, like individually wrapped coils. The Perfect Sleeper collection by Serta has a wide range of mattress types and prices, which means that no matter your budget or preference, you should be able to find the right bed for you. This article covered three of the best options available right now to help you make the best choice. Serta just might be one of the most well-known mattress brands out there. Before choosing a bed from their Perfect Sleeper line, what should you consider? Materials Used: The innerspring beds offered in this line use cooling gel foam in their construction. Each memory foam bed in the Perfect Sleeper line comes with both gel memory foam and also a proprietary gel-infused support foam. 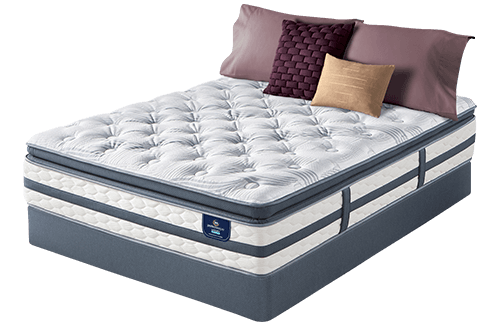 The hybrid bed offered in this line uses 886 individually wrapped coils in addition to cooling gel memory foam and Serta Comfort XD™ Foam. Price Range: Again, this line offers innerspring, memory foam, and hybrid mattress options. If you’re looking for affordability, the innerspring beds by Perfect Sleeper may suit you best, as they cost as little as $349. Memory foam costs a bit more and range between $599 and $1,099, while a Perfect Sleeper hybrid will run you between $1,099 and $1,199. Bed Frame Compatibility: Serta Perfect Sleeper® Mattresses will work with the majority of frames or foundations, but always double-check the manufacturer warranty before selecting one. For larger Perfect Sleeper beds in Queen or King-size, center support may be required for optimal sleep and to keep the warranty intact. Sealy Posturepedic vs. Serta Perfect Sleeper - A 2019 Buyer's Guide: Which One Is Right For You? PrevPreviousBest Time to Buy a Mattress in 2019: Should You Invest in a New Bed and If So, When?